The EOCC TF Official Controls aims to analyse the Regulation EU 625/2017, published on April 7, 2017, replacing the former regulation 882/2004 and that will come into application on December 14, 2019. By analyzing this regulation, the Task-Force aims to achieve best solutions for effective and efficient inspections in organic production. The analysis of the new EU-Regulation on Official Controls focusses on its consequences for authorities and for control bodies in organic production. Solutions are sought to best ensure the integrity of organic production in line with the legal requirements. Links between EU-Regulation on Official Controls and with EU Organic Regulation are of particular relevance for the Task Force, in order to maintain and to further improve organic food authenticity. 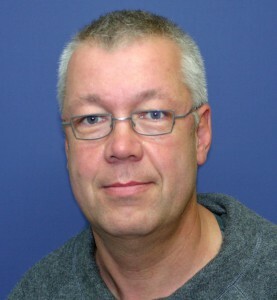 The coordinator of TF Official Controls is Dr. Jochen Neuendorff. Jochen serves as the managing director of the German control body Resource Protection Ltd. (GfRS Gesellschaft fuer Ressourcenschutz mbH, www.gfrs.de) since 1989. He is inspector of organic farms, processors and importers of products from organic agriculture in various member states of the EU. Since 1998, he is also assessor of different accreditation bodies for ISO 17065 and ISO 17021. He did various evaluations of control bodies certifying to equivalent standards active in third countries, in Africa, Asia and Latin America. He is the chairman of the committee Agriculture, Nutrition and Sustainability of DAkkS and a member of the accreditation committee of the IOAS. Jochen was the project leader of a variety of research and development projects aiming to improve effectiveness and efficiency of organic controls, amongst them the EU-projects IRM-Organic and AWARE. Jochen is convinced that one of the major tasks is future is harmonisation of organic controls, a task to which EOCC can deliver an excellent contribution. In April 2014, Jochen became EOCC Board member.